If this date does not work for you, I will be teaching more workshops in the Fall, and the schedule will be posted here on my Blog soon. Hope to see you soon in a papermaking workshop. 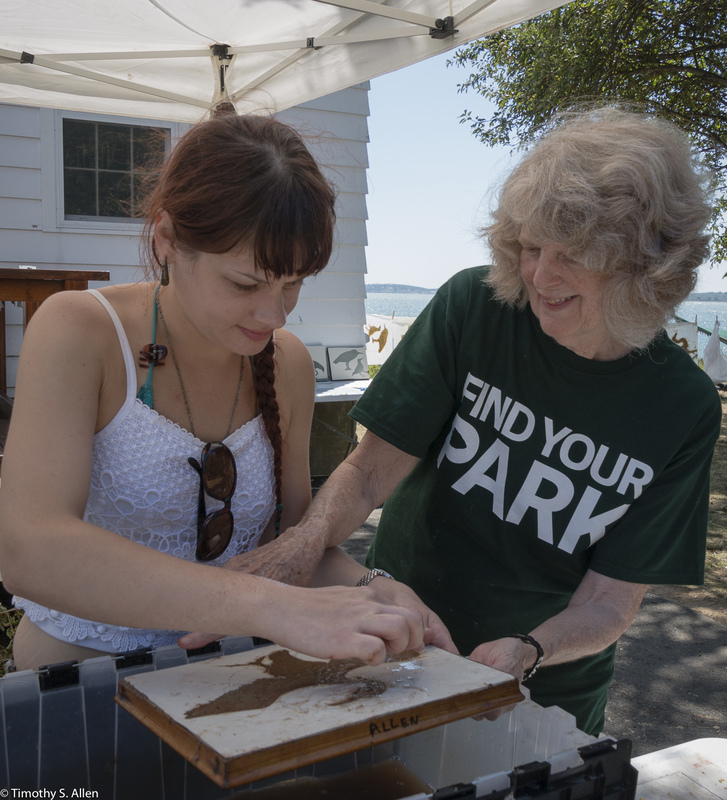 These photos show me working on a handmade paper mixed media work in 2016 as an artist in residence at the Boston Harbor Islands National Park. 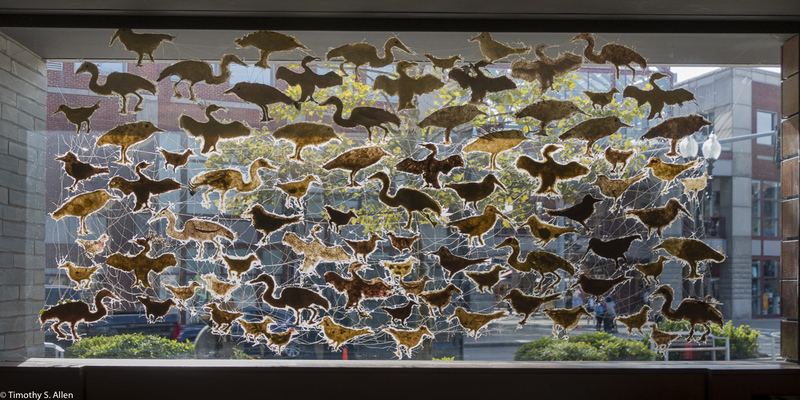 For this work about endangered water birds on the islands I am using handmade paper made from invasive plants on Peddock’s Island to create a large suspended installation that is now hanging in the Boston Harbor Islands Welcome Center at Long Wharf in Boston, MA. In the first photo, I am helping a park visitor form one of the handmade paper birds. 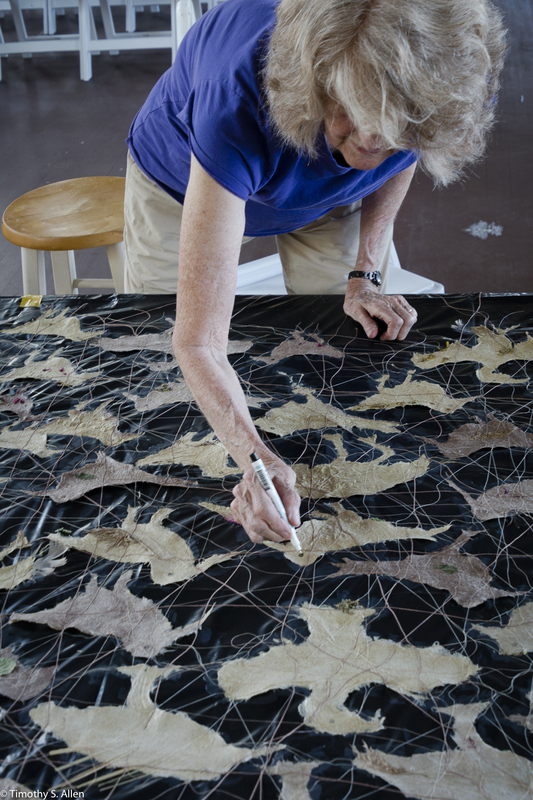 The next photo shows me putting together all of the birds to create the finished hanging installation using acrylic gel and natural thread and other materials collected on the island such as feathers, grasses and seeds. The last photo shows the finished installation hanging at the Welcome Center where visitors take the ferry to Boston Harbor Islands State Park.